I absolutely love making homemade ice cream. I’ve made both kinds: French style, which is an egg custard you cook and cool, and what is known as the Philadelphia style, or New York style ice cream. 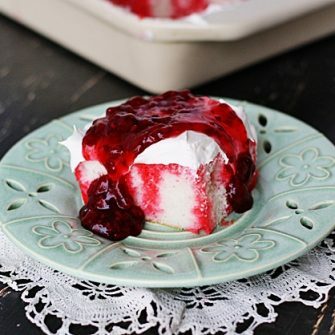 Philadelphia style is much easier, does not require cooking, and often uses sweetened condensed milk in the base. Once I learned how to make Philadelphia style ice cream, I stopped fussing with egg custard. Once you’ve made a few of your own homemade ice cream creations you can start making your own delicious concoctions. Start with a vanilla recipe and change the extract flavorings, throw in some mix-ins and experiment with candy too! Making ice cream from scratch is a lot of fun for you and the kids too! So dust off your ice cream maker and try one or two of my ice cream recipes below! Here are some of my all time favorite flavors, though you can find all of my homemade ice cream recipes here. 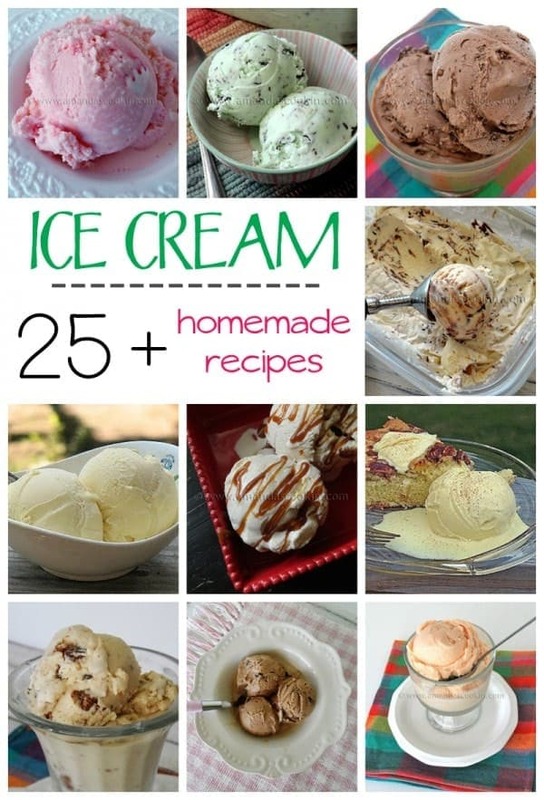 Find all 25+ homemade ice cream recipes here.